Actor Ranbir Kapoor was invited to Taimur's first birthday party in Pataudi, but the Ae Dil Hai Mushkil could not make it to the party due to work commitments, reports Pinkvilla. 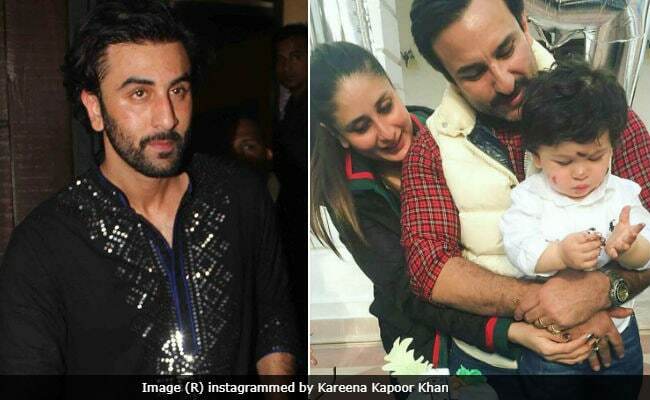 Kareena Kapoor and Saif Ali Khan hosted a family-only party for Taimur at Saif's ancestral home and an invite was sent to Ranbir Kapoor. "Ranbir is very fond of Taimur and that is also one of the reasons he was invited for Taimur's celebration. Ranbir was keen to go, but a few important work-related things came up and he could not make it," Pinkvilla quoted a source as saying. The Kapoors are now back in Mumbai and are all set for their annual Christmas brunch. The brunch will be hosted by Shashi Kapoor's son Kunal at his Juhu residence. Randhir Kapoor told mid-day: "Like every year, we are expecting the entire family to be there. As usual, there will be lots of food, and this time around, it will be special as we will remember Shashiji and share our fond memories of him." Shashi Kapoor's wife Jennifer Kendal started the Christmas brunch tradition in the Kapoor household three decades ago, which will now be carried on by the family. Every year, on Christmas, the Kapoors gather in one place for brunch, which is strictly family-only affair.